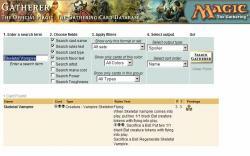 There is the search plugin for Firefox for searching Magic The Gathering cards (MTG). Also plugin will work with IE7. 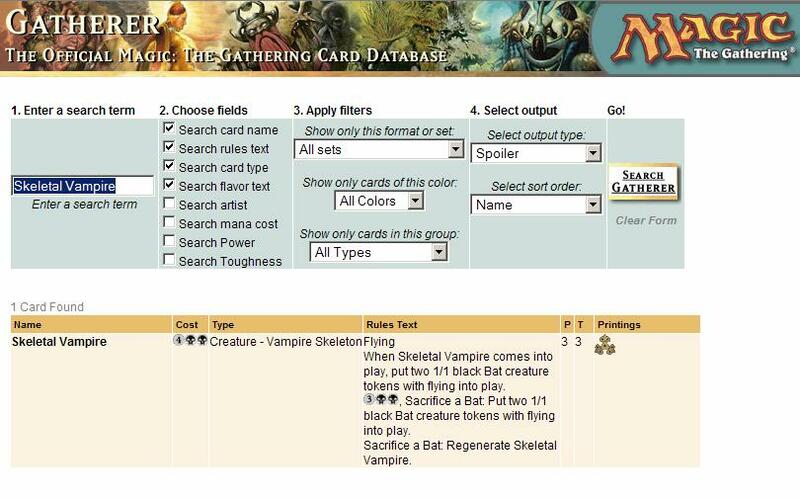 Of course, my plugin look for cards on http://ww2.wizards.com/gatherer site. Plugin perform search by name,type, flavor text and rules text.